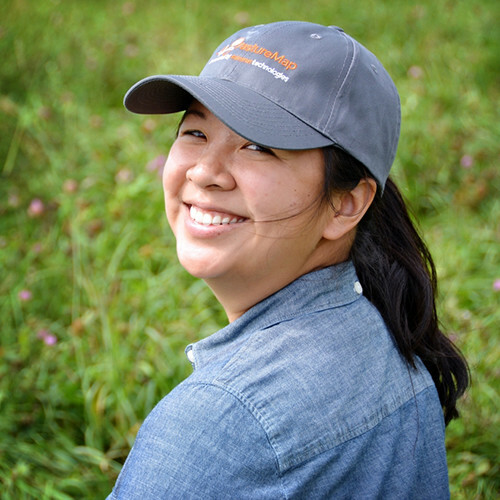 Christine Su is the CEO and co-founder of PastureMap, a technology company helping ranchers increase profits on healthy grasslands. Christine has 3 degrees from Stanford, including an MS in Land Use and Agriculture and an MBA. Prior to founding PastureMap, she worked at McKinsey and at KKR Capstone, where she was an operations executive building performance improvement software for companies from $500 million to $2 billion in revenue size. With PastureMap, Christine Su now brings this operational experience to improve ranch and farm profitability. Christine Su became interested in the food system after struggling with food allergies. She found that produce and dairy products from her local farmer’s market did not make her break out in hives. At the farmer’s market, Christine started getting to know local farmers and ranchers, and she became more interested in food production. Christine worked on farms and ranches in four continents, including at a 60-cow dairy farm in Hokkaido, Japan and in New Zealand with merino wool producers. Working at these operations, Christine realized that producers were keeping their records and plans mostly on paper. Data collection and monitoring was cumbersome, and the records weren’t digitized in a way that made it easy for producers to gain insight from their records. Christine founded PastureMap to empower farmers and ranchers with the information they need to run their operations more profitably and resiliently. Today, PastureMap proudly supports 10,000 ranchers in forty countries. Looking forward, PastureMap is focused on helping producers get rewarded for their regenerative practices by connecting producers and consumers. Christine believes that human knowledge and creativity on the land is the key to regenerating landscapes and building vibrant and just food systems. PastureMap is proud to be building a global regenerative agriculture movement that is restoring soil health, sequestering carbon, and providing clean water while feeding local communities.